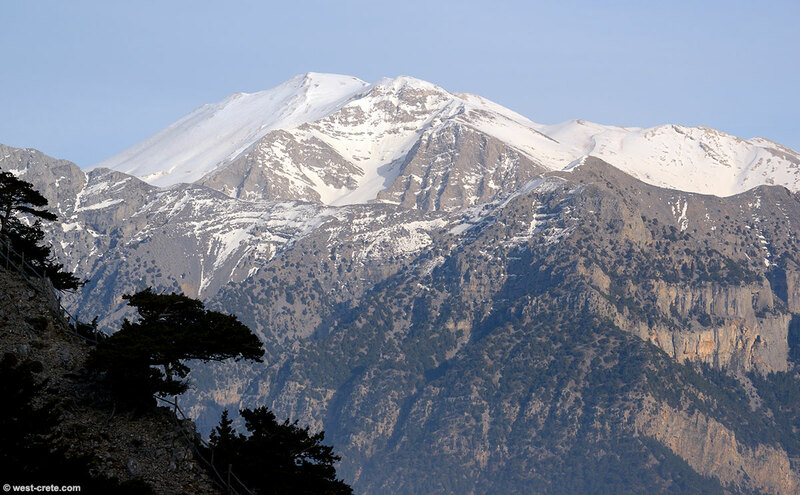 The summit of Pachnes* seen from the entrance of the gorge of Samaria at Xyloskala. As you can see there is not a huge amount of snow this winter and it starts quite high up, maybe at 1800m. * the real summit is not visible from Xyloskala. What you can see is what I call the 'western summit of Pachnes'. It is 20m lower and about 40 minutes walk from the main summit.